What Percentage of Your Investment Portfolio Should Be Bitcoin? Do you want to add bitcoin to your portfolio but question how much bitcoin exposure you should have? In this article, you will discover what leading investors and financial advisors think about what percentage of your portfolio should be in bitcoin. Wilson thinks that young, aggressive risk takers should put ten percent of their net worth into digital currencies, sophisticated investors looking to add portfolio returns should put five percent of their net worth in digital currencies, and the average investor who is slightly conservative but has some appetite for risk should put three percent into bitcoin and other digital currencies. 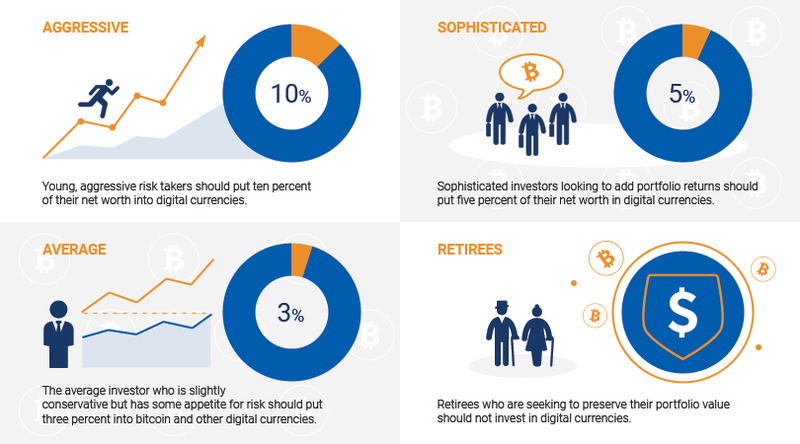 Retirees who are seeking to preserve their portfolio value should not invest in digital currencies, according to Wilson. While Wilson has a clear opinion about how much bitcoin investors should hold in their portfolio, financial advisors cannot agree on specific numbers across the board. 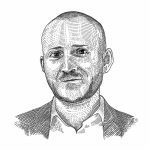 Jeff Reeves, editor at InvestorPlace.com, believes that bitcoin has no place in anyone’s investment portfolio, citing its strong volatility and its lack of “true value” as his main reasons. Michael Minter, founder of Mintco Financial, disagrees with Reeves. He has advised several of his clients to invest in bitcoin back when its value was $27 and recommends investing a small amount in bitcoin if you are willing to take a risk. Mark Painter, a money manager at Everguide Financial Group, believes that “bitcoin is about as speculative as you can get with an investment,” and invests five percent of his clients’ total portfolio into bitcoin once they understand the risks involved with investing in digital currencies. How Much of Your Portfolio Should be in Bitcoin? The decision of how much of your portfolio you will allocate to bitcoin and other digital currencies rests on a number of factors, including your age, your target expected return, and your level of risk tolerance. While you are young, you may choose to allocate a much larger portion to high-risk assets such as bitcoin because you still have enough time to make up for potential losses through work and other investments. The closer you are to retirement, however, the more you likely will want to have your investments in safer assets such as bonds and money market funds. Your targeted expected annual return is another factor for consideration. If you can hit your investment goals (such as a new house, your kids’ college fund or the retirement you want) with, for example, only 3 percent return per annum, then you are probably better off not investing in digital currencies as you can generate these kinds of returns with stocks and bonds. However, if you require a higher expected return to hit your investment goals, adding a little more digital currency exposure to your portfolio could help you achieve them. Finally, your level of risk tolerance plays a role in your decision. If you are comfortable with large swings in the value of your portfolio, having a higher exposure to digital currencies might be appropriate. Even then, however, the time-tested rule applies that you should never invest more than you can afford to lose. Bitcoin and other digital currencies are a high-risk asset class, so the wise course is to commit no more than a small portion of your overall net worth to digital currencies. 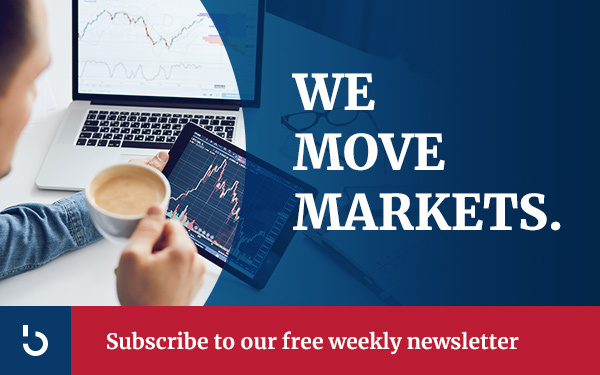 Subscribe to Bitcoin Market Journal newsletter, because it is the best investment you will make today! Looking for other great information about bitcoin investments? Read our article: Hedge Funds Investing in Bitcoin: The List.